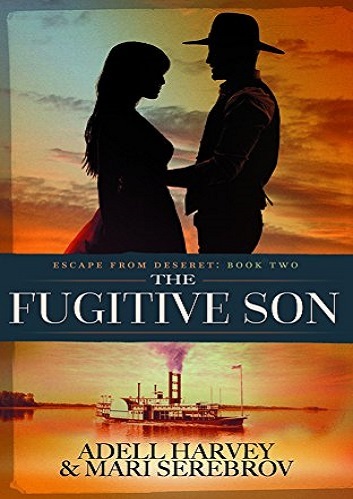 Andy Rasmussen, a devout Mormon trail guide leading immigrants to the “Promised Land,” is overwhelmed with guilt and doubt after allowing his father’s bride to escape Deseret. His faith is shaken to its core when he refuses to participate in what would be remembered as the Mountain Meadows Massacre. Will blood atonement be the price for his disobedience? Elsie Condit, a beautiful Southern belle who must travel across the country alone, faces her own doubts and fears. As threats of war swirl against the Saints in Utah, and the winds of an even bigger war spread across the nation, travel with these two intrepid souls on their exciting journey in search of truth, love, and God’s will for their lives. For well over a century, leaders of the LDS (Mormon) Church have ignored or sanitized the brutal atrocities of their early “prophets.” Today, church officials have begun to acknowledge some of the evil events that shaped their history. However, such revelations are given a flattering spin that continues to paint their prophets and early leaders with a broad brush of holiness and virtue despite incontrovertible evidence to the contrary. Andy’s story reflects the unvarnished historical events from those who witnessed them. Jeremiah 13:23b (Message Bible) …..Can a leopard get rid of its spots? So what are the odds on your doing good, you who are so long practiced in evil?